In the past few months, I have been hearing of the phenomenon that is sweeping the nation - Narendra Modi. Through the print media, television and social networks, Modi has emerged as the most viable alternative to the current spineless government. However, I hear a lot of dectractors of Modi as well. I have heard a lot of people say that the Gujarat model is just a hot-air balloon and that the reality on the ground is different. 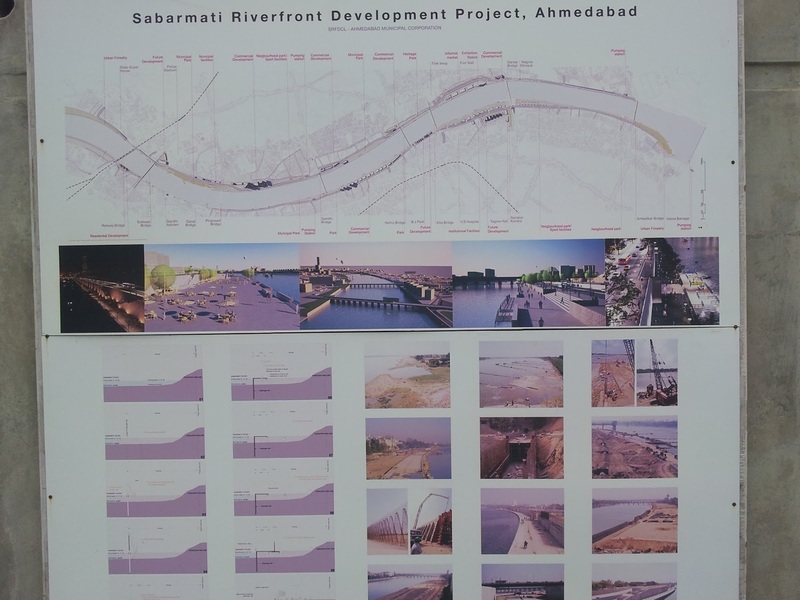 Mumbai - Sardar Sarovar Dam - Vadodara - Ahmedabad - Science City - Mumbai. First off, we got stuck at Ghodbundar road with horrific traffic. Just the preceding week, the Mumbai bypass incident had rendered that road useless. As is the norm, speedy repairs were being done at the same speed of lightning (if that lightning were made up of rubber balls in super-slo-mo instead of photons). We had to turn back and move to the Western Express Highway through Vikhroli. To be fair, the road improved considerably as soon as Mumbai limits were crossed. Since it was quite early in the morning, traffic was quite light. We hit the Gujarat border as the sun was coming up. My very first impression of the state was vast industrial areas outside city limits. The GIDC outside each big town was quite obvious and well-demarcated. Pollution around the GIDC was quite high though. The highway was broad, well-maintained and a joy to drive on. 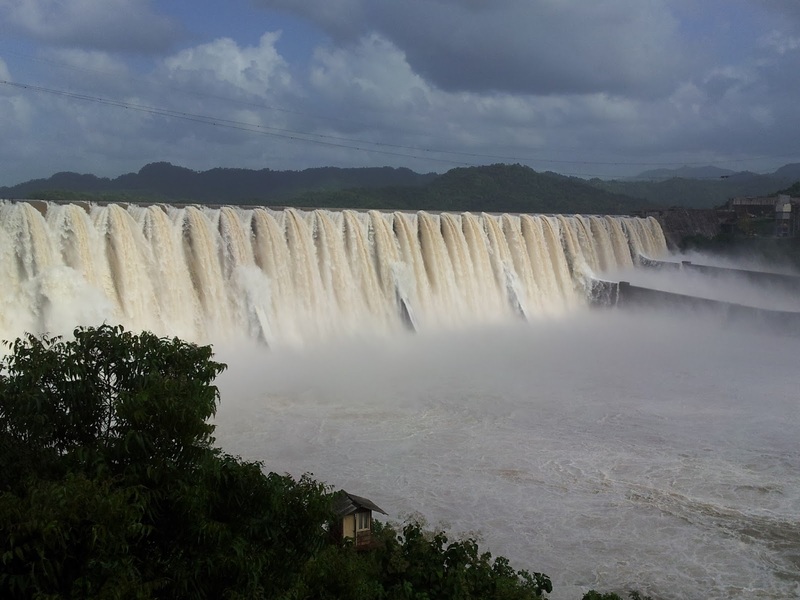 Our first halt was the Sardar Sarovar Project on the Narmada River. Our first and only bad experience of the traffic was near Bharuch on the way there. There are two roads that cross the Narmada River at this point. The first is the Golden Bridge which goes through the interior portions of the city of Bharuch and the other is the highway. However, this bridge is being developed and there is always a lot of traffic on the highway because of this. We saw a lot of vehicles (all cars) being diverted to the wrong side of the road to get them out of the traffic jam faster. It took us an hour more than what we had anticipated to get to Ankleshwar where we had to turn off the highway to get to the dam. Had white markings along both sides! I am not talking of roads in some big town or city like Vapi or Surat. I am talking of small by-lanes in Gujarat! Mint-quality roads EVERYWHERE! I was pleasantly surprised. Through small tenement lined villages like Thavadia, Umarva, Navagam, Kevadiya, Boriya, Indravarna - all tar roads in good condition. After a refreshing halt at the top-most viewing station, we headed off to Vadodara. We reached Vadodara around 1830 IST with the intention of putting up somewhere for the night. 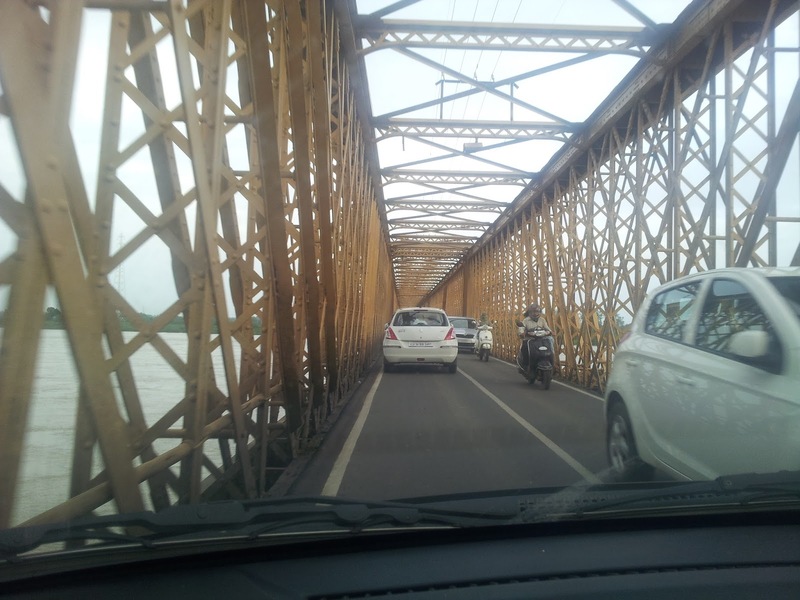 We had entered Vadodara using the Harni Road and here we noted an interesting incident. When we entered the city, the road was horrible (all approach roads are bad which I shall come to later in this passage). We navigated our way through the potholes to find our way to a quite quaint hotel called "The Airport Hotel". We dumped our bags in the room, had a bath, freshened up and had a mighty meal. We then watched some TV and dozed off to get up early and head to Ahmedabad. We got up around 0515 IST and got ready in half an hour or so. We paid our dues at the hotel counter and pushed off. The road was built overnight! When we came into the city, the road was like the surface of the moon. When we left in the morning, it was polished and ready like the runway at an airport! Our dear Maharashtra government takes ages to simply construct a road, repairs are activities that are unheard of. This was an interesting point though. All highways were excellent, all internal city roads were excellent, but all approach roads connecting the highway to the cities were bad. I feel it could be because there is a fight brewing between multiple authorities on maintenance but we observed this phenomenon in multiple cities - Vadodara, Surat, Ahmedabad and Bharuch so the chances of it being a coincidence are low. From Vadodara we made our way to Ahmedabad. We had planned on reaching there in two hours (110 kms), have breakfast, loiter around the city for half an hour or so and then make our way to Science City near the outskirts. However, another pleasant surprise awaited us en route. The road was sublime! We crossed the stretch of highway between the two cities in approximately an hour. 70 minutes to be more precise. There are long stretches of the highway which don't even curve gently. Just a straight road - and what a road! Not a single pothole in sight. 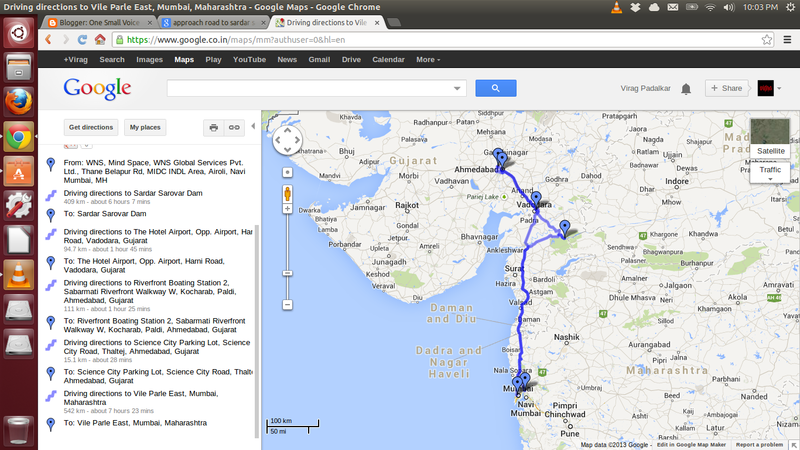 Compare that to the Mumbai-Pune highway and I shook my head ruefully at the state of Maharashtra. 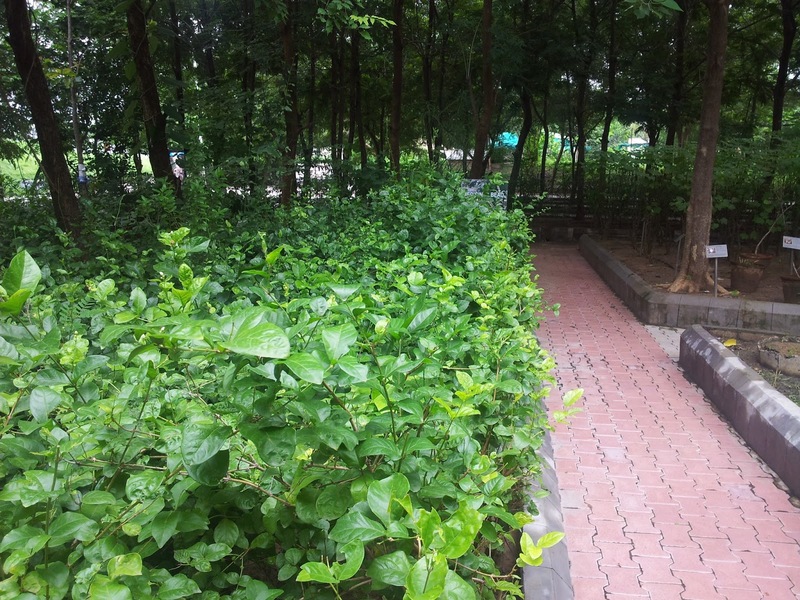 The place was well-maintained and clean. There was a security guard at each entrance of the walk-way and the guard guided us to noteworthy points and helped us locate the parking. 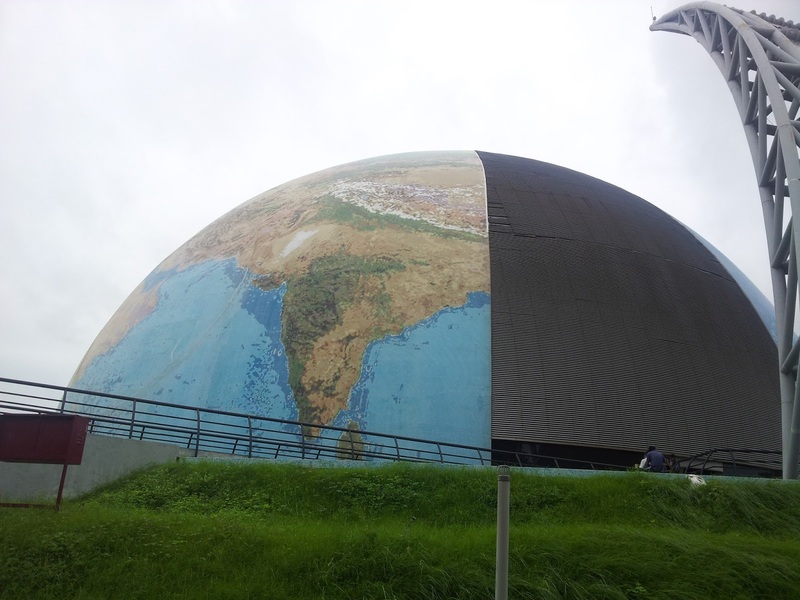 We spent approximately half an hour here and then proceeded to Science City along the Sardar Patel Ring Road. Here again, we were impressed by the planning involved in this road. 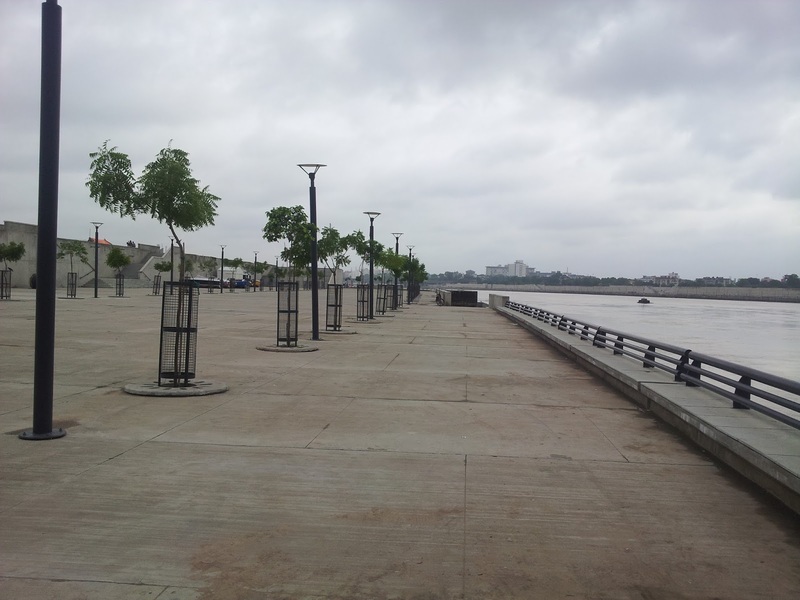 Built by the Ahmedabad Urban Development Authority, it is a 75 km stretch of road that encircles the entire city. Four lanes and as is the norm in Gujarat - a well maintained and broad tar road with no potholes. 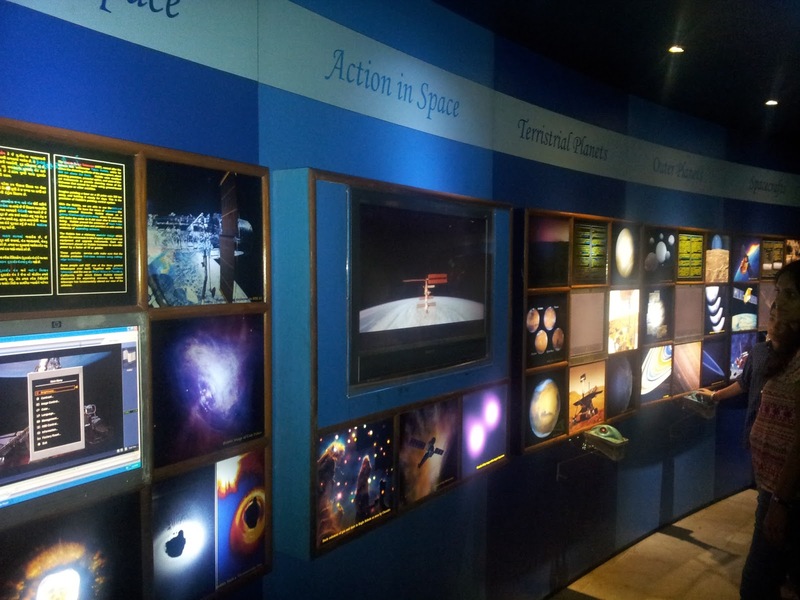 Overall, we were quite impressed here too. 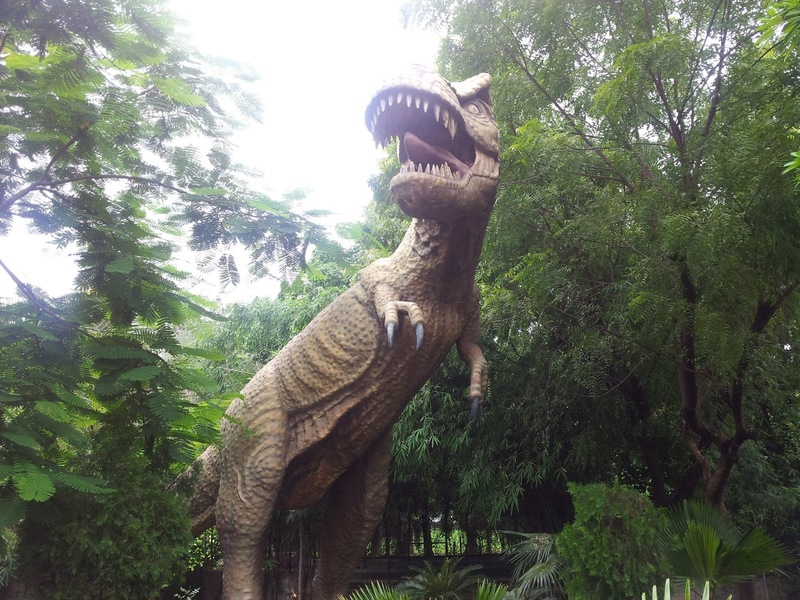 We caught the afternoon show of T-Rex: The King of Beasts at the 3D multiplex and headed back to Maharashtra. On the way back we did encounter a traffic policeman and the usual haggling over a bribe which kind of put a dampener on the proceedings, but not enough to mar our moods; at first. The horrific traffic at Bharuch did though. The policeman stationed at one of the highway junctions guided us to the wrong side of the road. 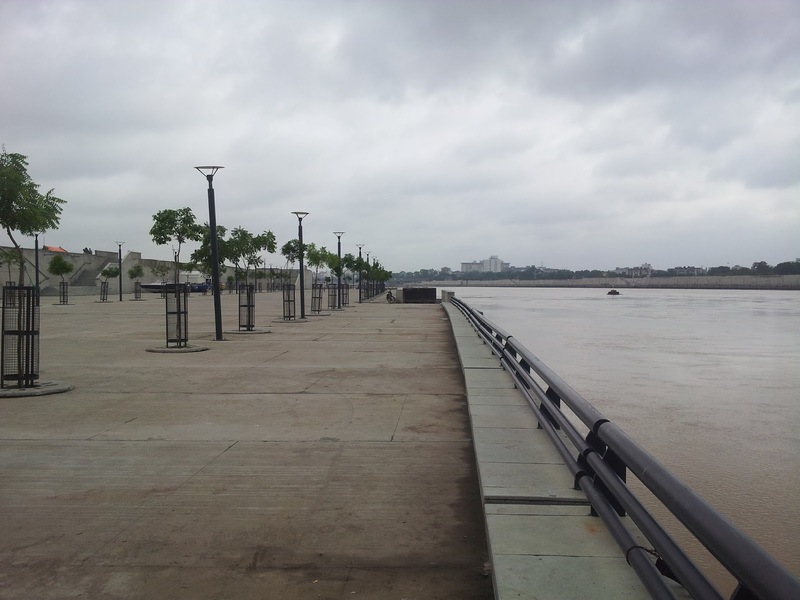 From here, we turned into the city of Bharuch and then crossed Narmada River using the Golden Bridge. Unlike Maharashtra, we did not see hoardings of local politicians congratulating each other on birthdays and other idiotic occasions. We did not see individual faces on hoardings at all to be honest. Not even Modi's. Petrol cost us only INR 74.9 per litre as opposed to INR 78.9 here in Mumbai and Pune. Cattle on the road is a problem in Ahmedabad though. They just sit in the middle of the road and stare at you as if you are the offender! Takes a while to get them moving. People are friendly and helpful. Two policemen volunteered information to us and guided us along in our journey. The public transport system (BRTS) was well managed. Only 25% of the road has been given to BRTS and therein lies the key to its success. Pune has made a royal mess of this concept with 50% of the road given to 20% of its traffic. Towards the end of our journey we observed another reminder that Gujarat is much better in terms of direction than Maharashtra. We neared the Gujarat border on our way back well into the night. There are two check-posts near the border. One operated by the Gujarat government and one operated by the Maharashtra government. The Gujarat checkpost was manned by a very limited number of policement but they were doing an efficient job. They had herded all trucks into one lane and kept another lane for cars free. They were directing all small cars into this lane so that they could exit Gujarat faster. We got out pretty smooth and approached the Maharashtra check-post. Quite a different story. There was no segregation of traffic, no control by the policemen, no direction whatsoever. There was a police van near the post and some policemen waiting near the actual check-post, but not one policeman was doing his duty. All of them were chit-chatting and whiling the time away. For me, this was the clincher. People have a definite sense of purpose in public life. Cost of living is lower than in Mumbai. Industrialization is evident throughout the state of Gujarat. In summary, Gujarat is a state that has a strong leader. A leader that knows the vision that the state ought to take. A leader that has instilled pride in the population. A leader that has done work at the grass-roots and gotten his hands dirty. A leader that has provided direction to all its officials and its citizens about their importance on the national scene. Come to think of it, I do want the nation 'Modi'fied. Very interesting and good to know the facts, very well explained! i was reluctant to support modi (i used to think about him same as other politicians) even if youth is praising him and day by day his fans are increasing. but after reading this blog, i definitely have changed my opinion. There's ''one small hope'' from him for sure.